With his side in the hunt for major honours this season, Man Utd boss Jose Mourinho is reportedly drawing up plans to strengthen his squad in January. While they’ve got a bit of work left to do to secure their place in the Champions League knockout stage, United currently trail rivals Man City by eight points in the Premier League title race. 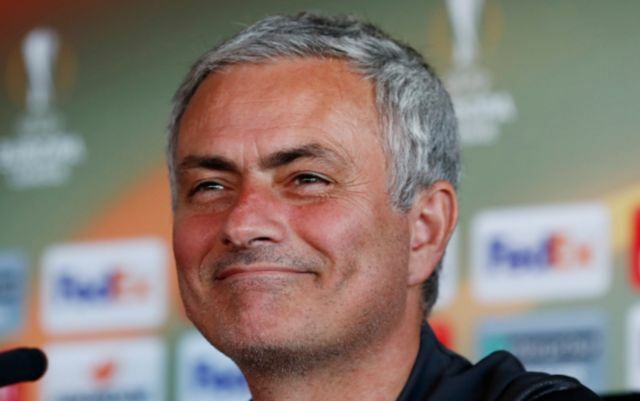 The two sides clash at Old Trafford on Sunday which could be a decisive moment in their title battle, but it appears as though plans are being made at Man Utd to strengthen the squad in the New Year. According to The Independent, while a number of players are being linked with a move to United, it’s Tottenham full-back Danny Rose who will sit top of the transfer shortlist as the Red Devils look to address a key position in their team. Although Ashley Young has done a commendable job filling in, while Mourinho does have various options including the likes of Matteo Darmian, Marcos Rojo and Daley Blind to play there, he hasn’t been able to settle on a long-term option. In turn, Rose would offer that as well as balance to the side to compliment Antonio Valencia on the right, but whether or not his reported £50m+ valuation, as per The Independent, puts United off remains to be seen. Valencia’s Carlos Soler and Arsenal playmaker Mesut Ozil are also said to be of interest to Man Utd, but those positions can arguably wait until the end of the season, with Rose undoubtedly a key addition if he were to arrive. Having had his injury and fitness problems so far this season, he’s been limited to just five appearances in all competitions. However, there’s no denying that his speed, movement, defensive solidity and attacking qualities would make United a better team.